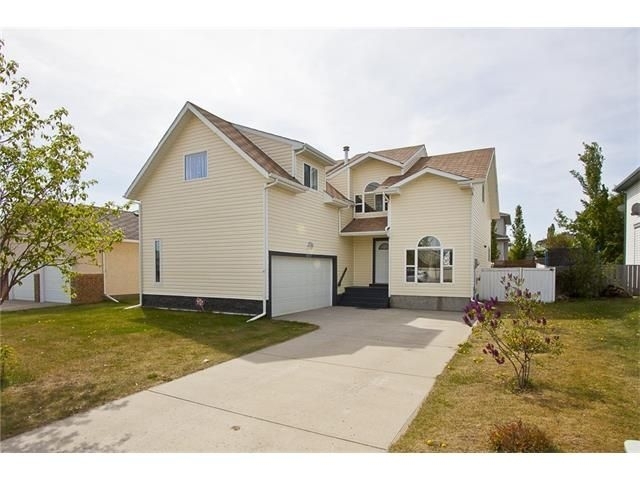 Located across the street from a park, this 2 Storey home will definitely impress. Very rare and special is the Main Level Master bedroom with updated 4 piece ensuite, walk-in closet, and Pax Wardrobe System. Also on the main level is the vaulted living room with gas fireplace, ample kitchen, nook, good-sized dining room/office, and powder room. The upper level is amazing with full baths, 2 bedrooms, and massive bonus room over the garage. The cat-walk dividing the living room and foyer is a beautiful feature. The lower level is unfinished but has a roughed in bath and over 1000sqâ€™ of future living space or a fabulous play area for the kids. The 14â€™ x 19â€™ back deck leads to the massive fenced south backyard. The double attached garage is insulated and heated. There is great value here at this price so donâ€™t wait long to call and book your showing.